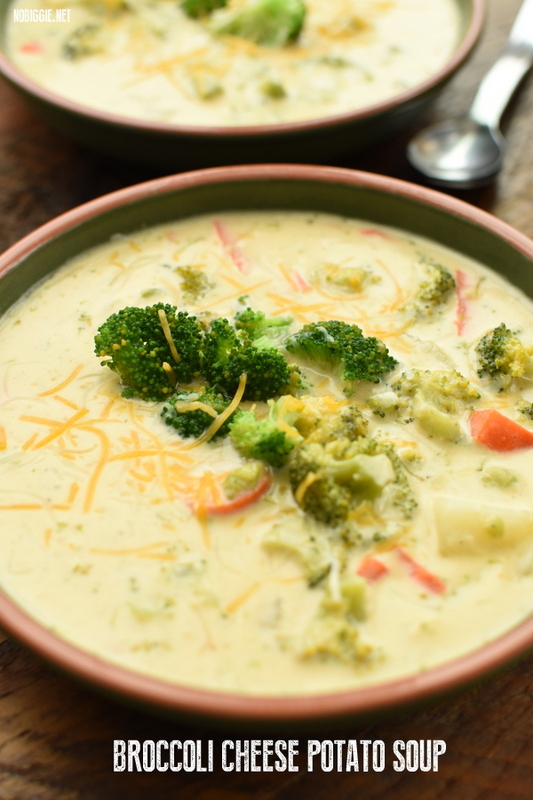 Loaded with broccoli, carrots, potatoes and cheddar cheese, this soup is pure comfort on a cold night. 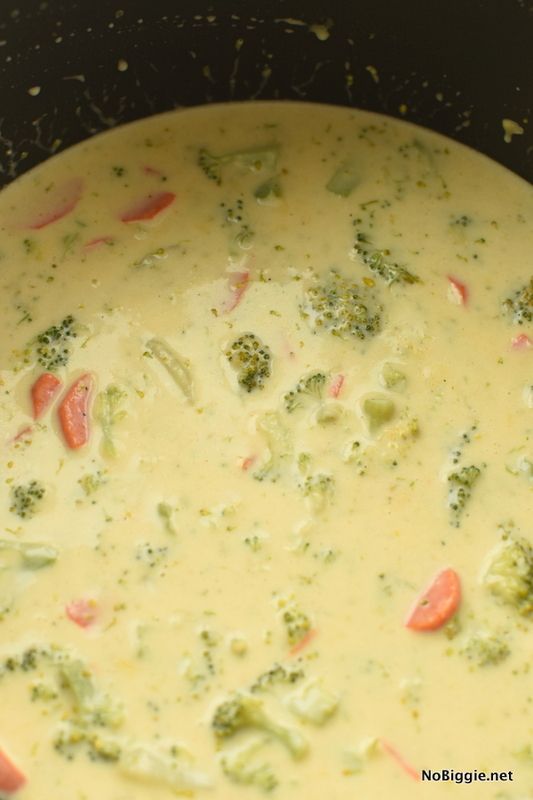 You know what’s better than ordering your favorite broccoli cheese soup when eating out? Making a big pot of it for your family on a cold night and staying in. 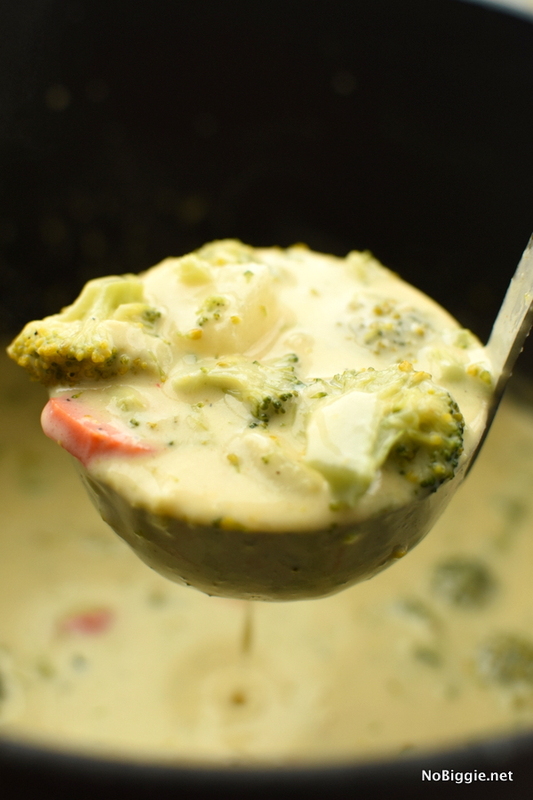 We love this soup! In a large heavy bottom pot add the stick of butter and the onions and cook on medium heat until the butter melts and the onions become translucent. Add in the minced garlic and cook until the garlic is fragrant. Add in the flour and stir with the butter, onion and garlic. Whisk constantly until the flour blends smooth into the butter to make a roux. Pour in the water and add the better than bouillon flavor, stir until combined. Pour in the milk and the cream, stirring constantly. Add in the carrots, broccoli, potatoes and simmer. Add in the salt, pepper and seasonings along with the grated cheese. Continue to stir with a rubber spatula and scrap the bottom of the pot to keep anything from sticking to the bottom of the pot. Serve warm with more grated cheddar and crispy bacon crumbles if you prefer. Soup will keep in an airtight container up to 1 week. 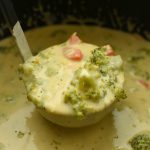 Pure creamy comfort Broccoli Cheese Soup with potatoes and carrots. 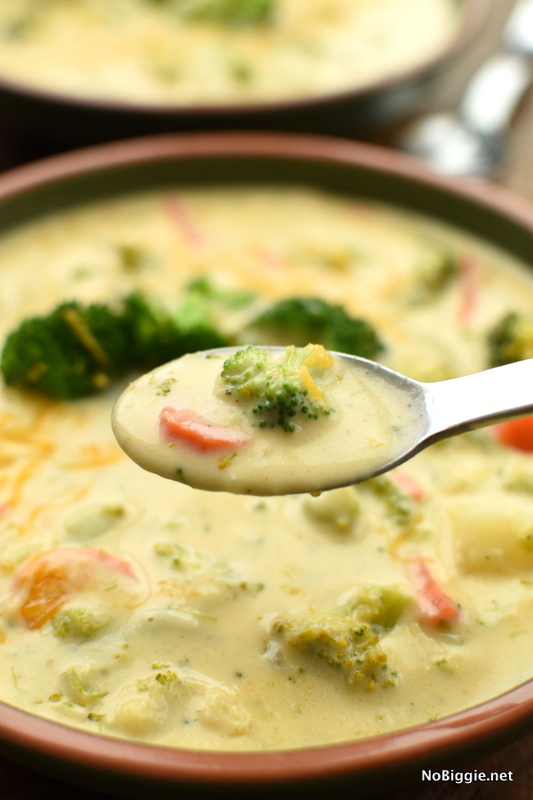 This soup is one of our favorites on a cold night. In a large heavy bottom pot add the stick of butter and the onions. Cook on medium heat until the butter melts and the onions become translucent. Add in the minced garlic and cook just until the garlic is fragrant. Add in the flour and stir with the butter, onion and garlic. Stir constantly until the flour blends smooth into the butter to make a roux. 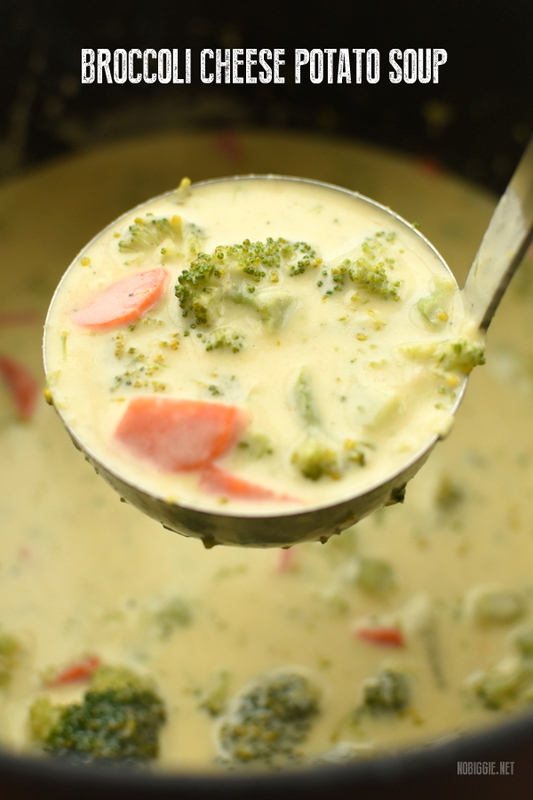 Add in the carrots, broccoli, potatoes and simmer for 15 to 20 minutes. Add in the salt, pepper and seasonings along with the grated cheese. Continue to stir with a rubber spatula and scrap the bottom of the pot to keep anything from sticking to the bottom of the pot. Soup is ready when the potatoes are fork tender. To finish the soup off, add more grated cheddar cheese and crispy bacon crumbles if you’d like! I’d love to know what’s your most favorite soup to order when eating out? Looks to me like Campbell’s made it.